Book Recommendations for "Smart Teenagers"
"I need book recommendations for a smart teenager!" My friend's plea didn't mention the teenager's age, interests, or even a specific genre. Did he want a book that was fun, perhaps an escape into the world of fantasy, or maybe he wanted recommendations that addressed issues of self-identity? I don't know. Without much to go on, the classic writers came to mind such as Charles Dickens, Edgar Allen Poe, Jack London, Ralph Ellison, Ray Bradbury, Mark Twain, Arthur Conan Doyle, Jane Austen, Isaac Asimov, J.D. Salinger, Agatha Christie . . . If you need book recommendations for "smart teenagers," there are many helpful sources including the Teen Librarian's Toolbox where it's "Sherlock Week!" 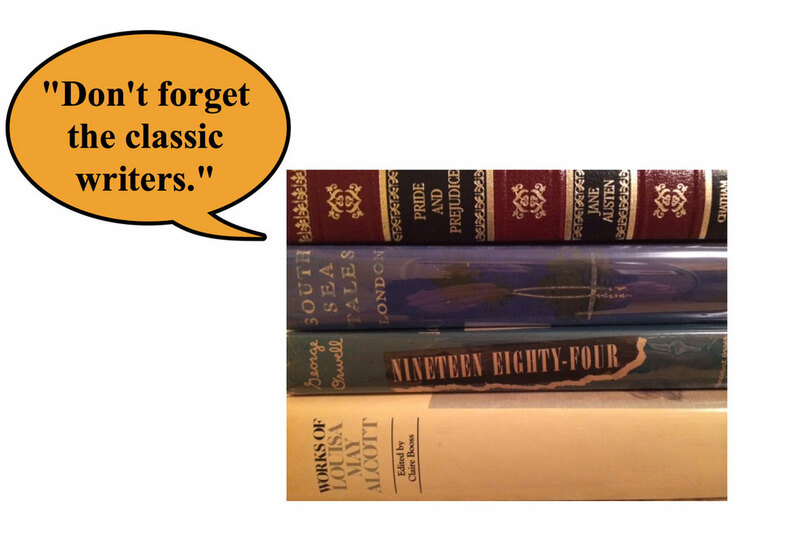 "When looking for books for teenagers, don't forget the classic writers."